Will it rebound at this support level? 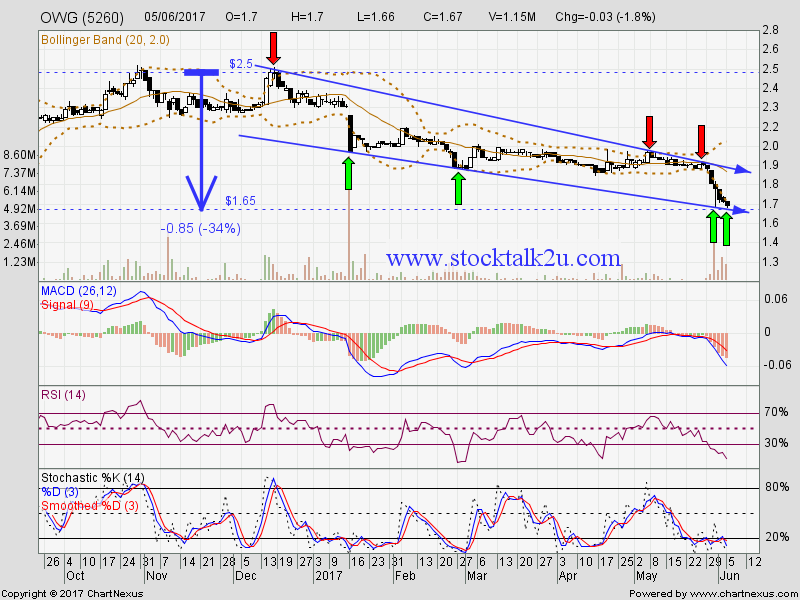 MACD trade @ negative region, downtrend sign. Stochastic %K @ pending trigger buy call. Immediate support @ RM1.65 level. Subsequent support @ RM1.38 level. 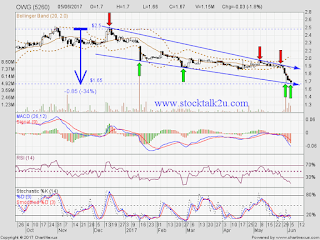 Immediate resistance @ RM1.85 level. Subsequent resistance @ RM2.00 level.